Mr Sánchez, in power since June, will announce a date for the vote after a cabinet meeting on Friday, reports say. The government’s budget was rejected by 191 members out of the 350-seat parliament, with votes from the People’s Party (PP) and Ciudadanos as well as Catalan separatists. Mr Sánchez became prime minister after his predecessor, Mariano Rajoy, from the PP was pushed out in a no-confidence vote over a corruption scandal,. A new general election will be the third in five years in Spain, the eurozone’s fourth-largest economy. Citing unnamed sources, Reuters news agency says 14 or 28 April are the most likely dates. Catalan pro-independence parties had insisted on a dialogue over independence for their region as the price for supporting the budget, but talks broke down last week. The government’s stance remains that, according to the country’s constitution, the nation is “indissoluble”, and no part of it can secede from the whole. 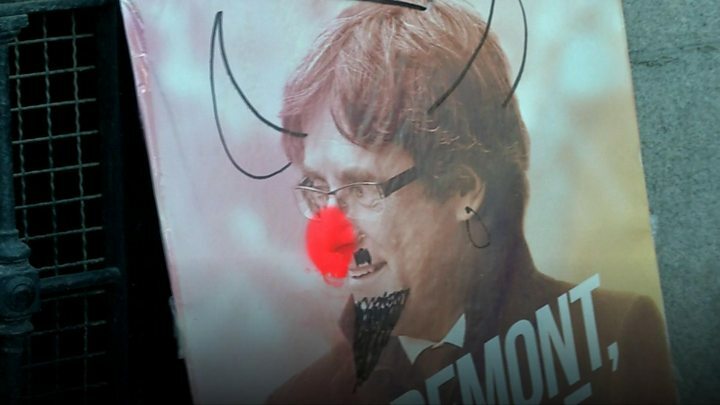 Divisions were highlighted on Tuesday, when 12 Catalan separatist leaders and activists went on trial for rebellion and sedition over their unrecognised independence referendum in 2017. Mr Sánchez left parliament immediately after his defeat, smiling but silent. Ahead of the vote, Finance Minister María Jesús Montero tried to appeal to economic sensibilities, labelling the budget’s provisions for Catalonia as generous. Who’s likely to benefit from a snap election? Mr Sanchez’s party still leads opinion polls but a possible result could be a right-wing majority formed by the PP, Ciudadanos and a newly-emerged far-right party, Vox. 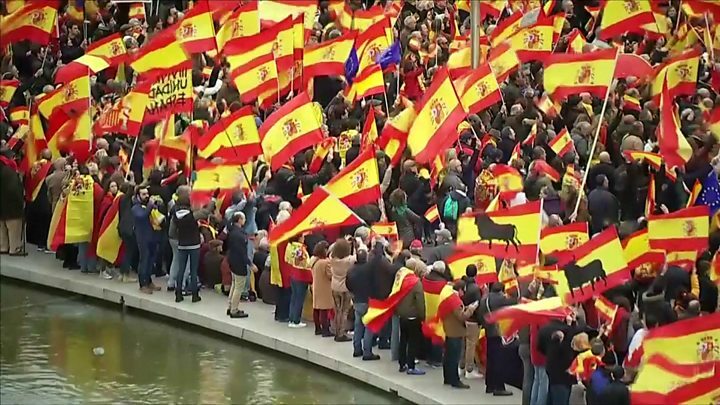 Discontent in Spain over the Catalan issue was one of the key factors behind the Socialists’ defeat in regional elections in Andalusia in December to a right-wing coalition supported by Vox.